Remember when I showed the world my very unorganized pantry? 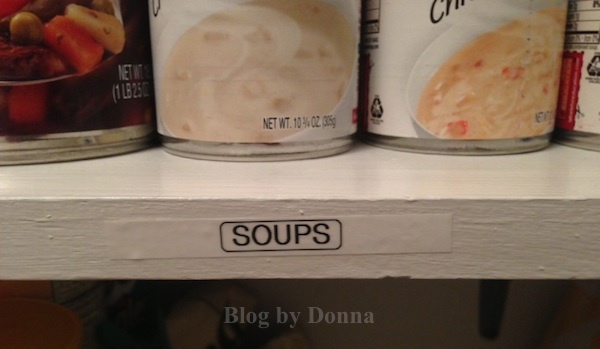 In case you missed it, and as if I haven’t embarrassed myself enough, here’s my story of my pantry before the Brother P-Touch Label Maker. As I said in my earlier post, I just let life get the best of me and let things slide. It was quicker and easier to just throw things in the pantry and go. This resulted in a non-perishable mess. Food was expiring because I couldn’t find it. Or just plain forgot about it. You know… out of sight, out of mind. A mess. A big fat mess. Thankfully, the Brother P-Touch came into my life. I’m on a “getting myself, my home, organized” journey. Since my pantry was a sore topic in my home, I thought it should be one of my first projects for my Brother P-Touch label maker. As you can see from the before photo, my pantry was in chaos. Once again, I ask you to please not judge me. 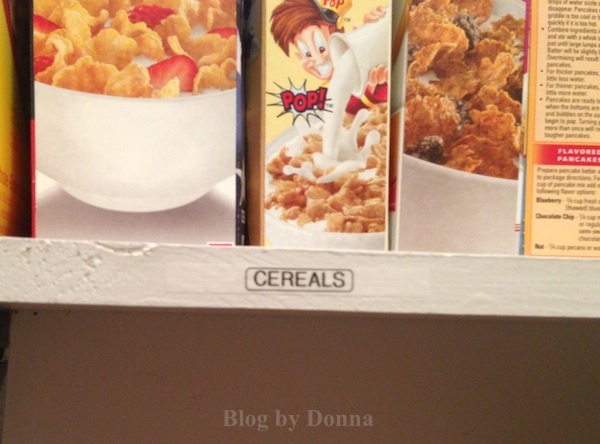 Part of the reason I think I let my pantry get so out of hand is, well… no one sees it (well now the whole world can if they visit my blog). I keep the door to the pantry shut, so only my husband, son, and I go in there. I’m changing my attitude about this. I have decided to treat the pantry like any other room in my home. Anyone at anytime could go in there, so I need to make sure it is neat and organized. So, I cleaned up my pantry. I first took everything off the shelves and threw away anything expired and outdated. 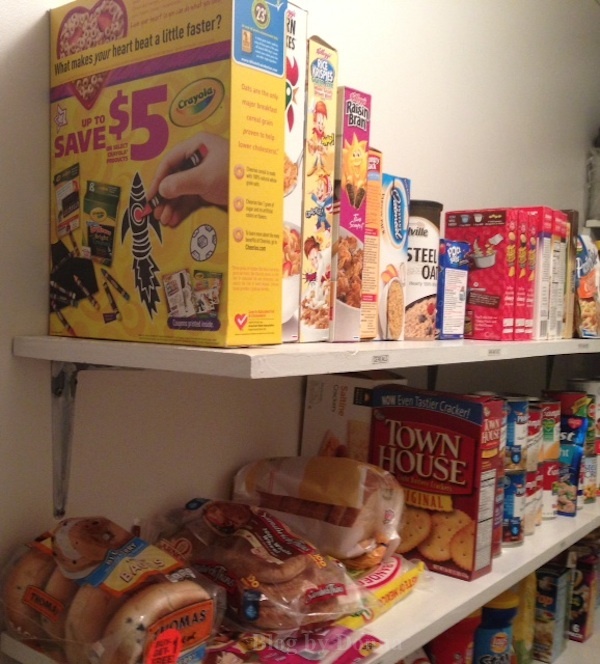 Then I grouped all the non-perishable foods into categories… soups, cereals, breads, snacks, etc. 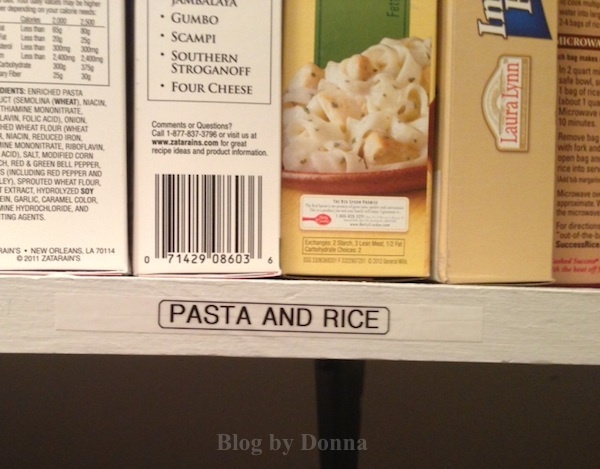 I used my Brother P-Touch labeler to print out the categories of food I keep in my pantry, and stuck them onto the ends of my pantry shelves. This space is also for condiments and dressings, etc. It’s so much more organized! My hubby is happy now! I also have a spot on my pantry shelves for canned fruit and drink/shake mixes. Now I have a cleaned up, organized, everything has a place, everything in its place… pantry. The important thing now is to be consistent. 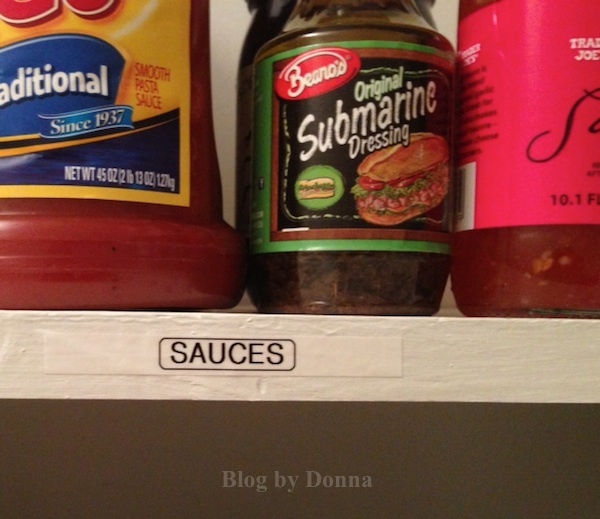 I have labeled where food types go — all we have to do is put things in their designated spaces every time. I am excited about the things I’m going to use my Brother P-Touch desktop label maker for when I start my spring cleaning in a few weeks. I’ll try to share some of my projects with you. 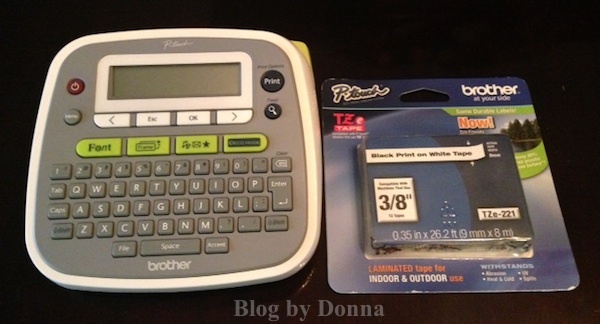 What could you use the Brother P-Touch label maker on? 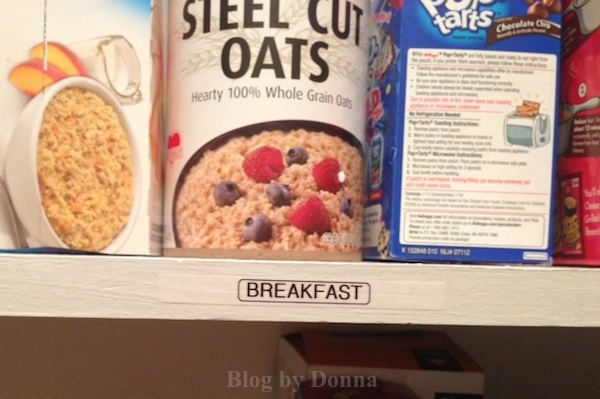 Check out the Brother P-Touch Facebook Tab to see how other people, like me, have used the Brother P-Touch label maker to get their lives and homes organized. It looks nice and organized. So neat. I know my husband would be happy too because he could put things away (and find things) without me getting mad that they are in the wrong spot. WOW YOur pantry Rocks it’s HUGE!!! I wish I could be that organized. That is awesome! I need to get more organized with my pantry. What a great idea!!! My pantry could so use some organizing! I should have thought of doing this! I use it in the office to organize files etc. but I never thought of using it at home. Thanks for bringing this to us. I like your pantry. I wish I had that space. I really like it. I wish my pantry was as big, full, and organized as yours! Mine stays clean and tidy for a few days until my husband decides to dive in…then it becomes a mess! Man – you are organized! Oh I wish my pantry looked like that!! I have been seriously wishing for a label maker for a long time now….I keep telling myself that if I had one, I could be organized too!! I have always wanted to do this. I have sticky notes and its just not the same. Thanks for the reminder and review! Fantastic job! I wish I had a pantry to organize. I would use this to organize our garage a little better and most likely our office. I love label makers. I need to purchase one. Love how organized it is! Labeling is so helpful to put things back where they go. Good job! Going to hire you to come do ours!!! Oh SWOON! The OCD in me is green with envy and your pantry looks fabulous! I’m the only adult in the house, so the only one putting groceries away. I would still end out with them haphazardly positioned…lol. Love how organized you are. Such a quick and easy way to organize! I used this (or similar) at work. It wasn’t required to label everything until corporate wanted it to be a standard for all stores. And I mean EVERYTHING. I’m surprised we didn’t label each paperclip! Anyway, it was quick and I did the task in one work shift. P-touch (including this model) is definitely a good choice! 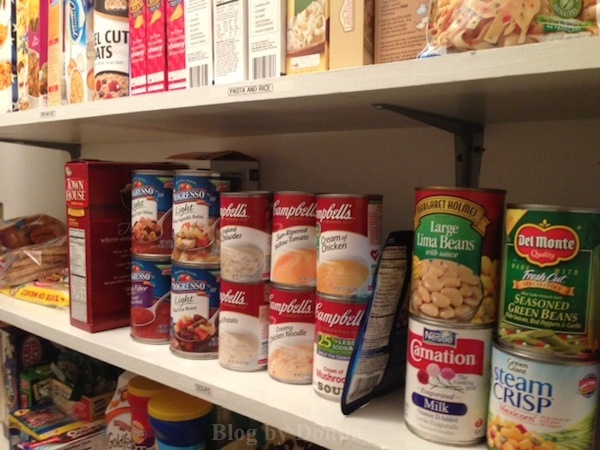 LOVE how big your pantry is — and I would LOVE to have mine so organized. 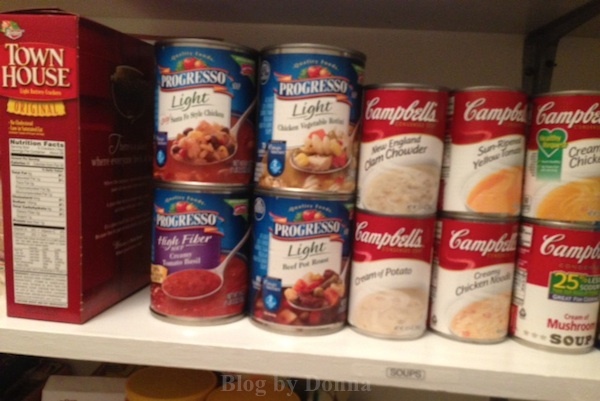 Wow, your pantry looks awesome! Great job!! This is a great idea! I would love to have one of these label makers. so neatly organized. I love my brother too. I SO need a label maker! It would be so much easier for kiddo to help me put away dishes and groceries if things were labeled! This is really funny because I’m sitting here at work using a brother libeler right now! I must say that it’s really easy to use and the labels look really nice. 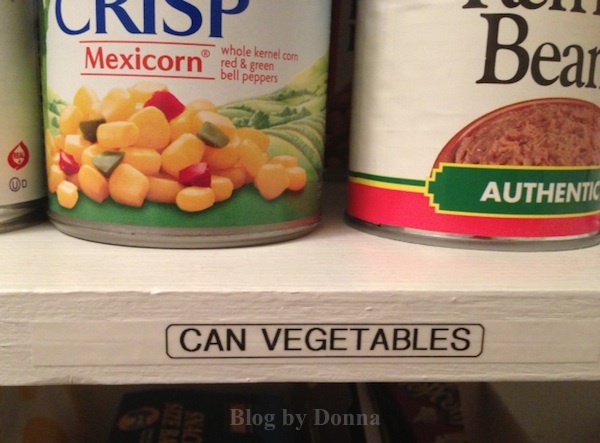 Love how you’ve labeled your pantry! Now it will be easy for everyone to know where things go and to see what you’re low on. Good for you! What an accomplishment. I am completely green with envy at the size of your pantry though – I’d go storage crazy if I had one that large LOL! I do have label maker and we store all our small things like batteries, wax melts, pens/pencils etc., in plastic shoe boxes and then all of those boxes get labeled with what’s inside. So much easier to store when you can stack boxes like that on shelves, instead of just random sizes or tossing things wherever. I love labels! Thanks for the inspiration. 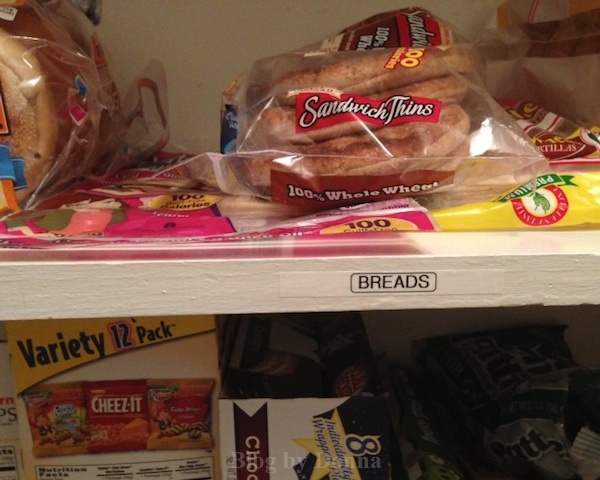 I really need to start using a label maker around my house to get it more organized. Thanks for sharing.